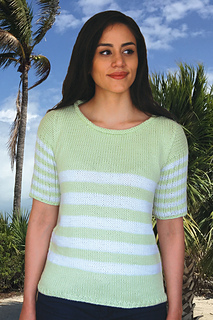 This one piece, quick and easy, top-down tee has curved shoulders formed with vertical shoulder decreases. 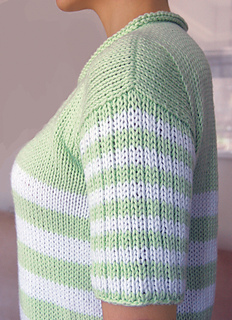 The body of the tee is knitted in the the round and the short sleeves are worked in k2, p1 rib. 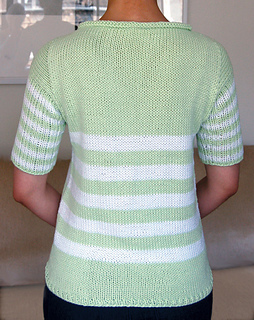 Try knitting this cheerful tee in other colors to complement your wardrobe.